1People talk about and share because it will make them look good to their peers. Along the way, we share the brands that helped make them look good. What’s at work here is your brains natural auto-complete feature, where information can be quickly accessed with a trigger. This is why closed questions often get more engagement than open questions. The more you listen to your community, the better you’ll know the triggers. What are they talking about now? Something newsworthy? Something controversial? One easy way to leverage triggers is to develop an editorial calendar around known notable calendar days, as Nancy suggests. Then, brainstorm a few messaging ideas around these dates. 3People only share when their emotions are activated. Reason only comes into the picture (if at all) after the action is taken. The New York Times did a study on emotions and sharing, and it found that the top three emotions were anger, awe and anxiety. And more specifically, it found that the power of an emotion is what drives sharing. For example, sadness rarely encourages sharing simply because it has very little power (low energy). Righteous anger, on the other hand, will get 1 million signatures on a petition! You can easily demonstrate social proof with social media and your website. For example, knowing that you have 50,000 email subscribers will influence whether I subscribe as well. But it won’t if it’s not public. 5People share things that are useful to others. Many behavioral economists believe that sharing useful tips is hard-wired into our evolution. If we go back in time a few thousand years, I might be telling you about a good fishing spot, in hopes that you might return the favor. This reciprocity continues to be a central part of who we are. You can grow and nurture your community by being useful to them in a variety of ways. 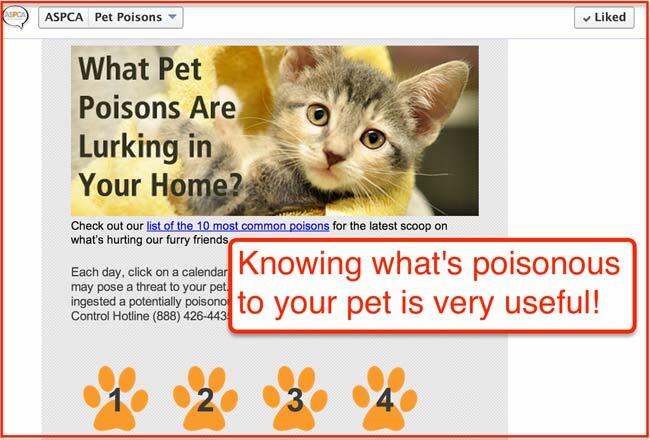 For example, the ASPCA has this handy Facebook app that educates pet owners about poisons (shown at top). The key here is to add value to community in a way that’s practical and immediate. 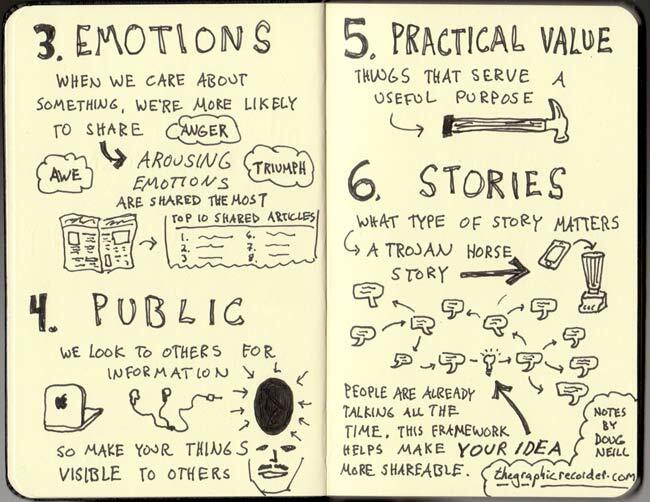 6Like reciprocity, storytelling is also hard-wired in human beings. Stories help create a vessels for an idea so that it’s passed along more easily. Stories should have a beginning, middle, and end, or at least a before and after. 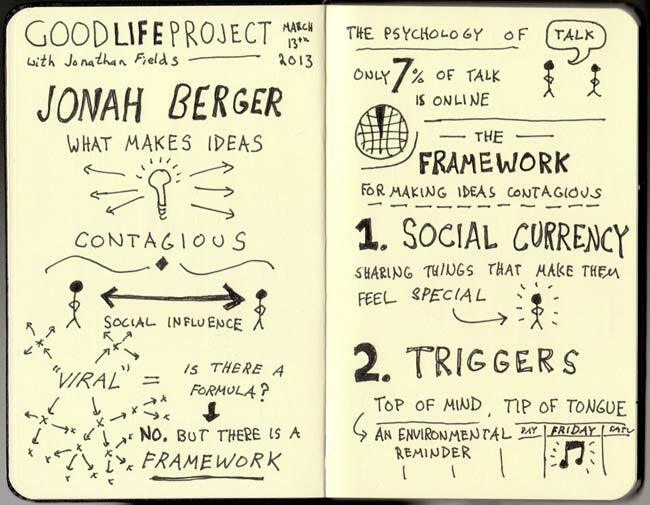 A great example of great storytelling is Jonah’s infograph for his book. Enjoy!